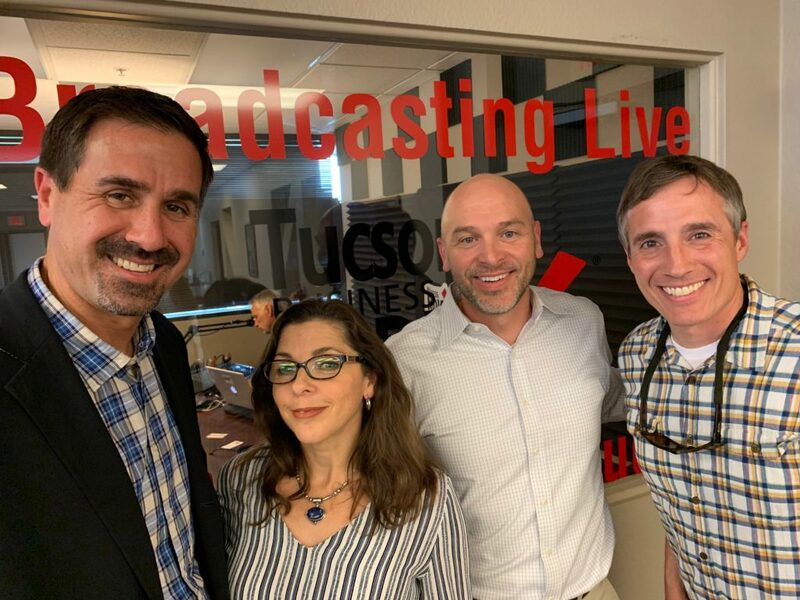 Today we are joined by entrepreneur and restauranteur Todd Hanley and Executive Director of the Tucson Audubon Society, Jonathan Lutz, to discuss Business Advocacy, Environmentalism, and the Growth of Downtown Tucson. SOCIAL MEDIA: Facebook | Twitter | LinkedIn | Jonathon is an experienced environmental non-profit director with a decade-long history advocating and educating on behalf of wildlife. He is skilled in advocacy, fundraising, financial management, marketing, media relations, and developing education programs.He co-leads winter birding tours in Michigan’s Eastern Upper Peninsula, sharing Endangered Kirtland’s Warblers with visitors from around the world, and guides residents on owl prowl along the Yellowstone River. Check back soon for upcoming seminars! Retirement Evolutions is two companies focused on helping individuals create retirement strategies using a variety of insurance and investment products to custom suit their needs and objectives. Insurance products and services are offered through Retirement Evolutions Financial and Insurance Services, Inc. AZ Lic # 865450. Insurance and annuity product guarantees are backed by the financial strength and claim-paying ability of the issuing insurance company. Investment advisory services are offered through Retirement Evolutions Wealth Management, a registered Investment Advisor. Information presented is for educational purposes only and does not intend to make an offer or solicitation for the sale or purchase of any securities. Past performance is not indicative of future results. Investments involve risk and, unless otherwise stated, are not guaranteed. Retirement Evolutions is not permitted to off­er tax or legal advice. Tax and legal advice is provided through our strategic partnerships. Individuals are encouraged to consult with these qualified professionals before making any decisions about their personal situation. None of the information contained on this website shall constitute an offer to sell or solicit any offer to buy a security or any insurance product.